Hi friends! Today I’m partnering with Bric's Milano to gift one lucky winner a gorgeous 21" pink spinner suitcase (carry on size). Isn't this set just the cuuutest!? 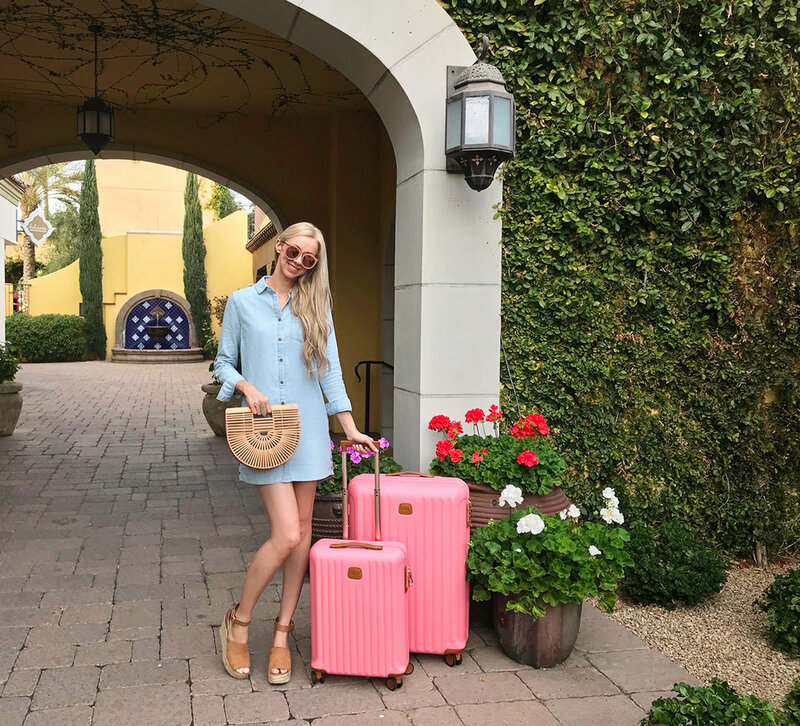 The girliness of the Capri collection pink suitcases doesn't stop at the pink outer hard case, the inside features beautiful floral print lining, too. Your inner girlie girl will squeal just like I did when I opened them the first time! They really thought of every detail from the sleek look to the gorgeous hardware, dual zip internal compartments, and premium wheels, locks, and handles. Head over to my Instagram page to enter (linked here). Open to the US only.